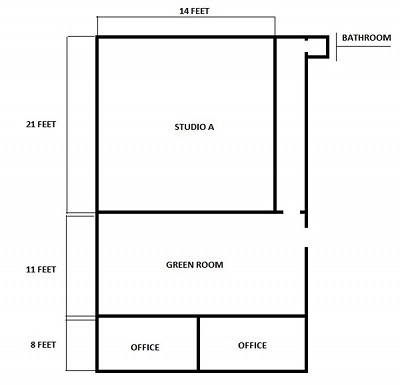 Reel Creative Studios offers a 10’x20 Cloth Green Screen, which covers the cyc and floor, which can be also be rented for off site shoots. Additional Cloth Green Screens are available to cover the sides of the stage to facilitate shooting simultaneously from more than one angle, and to cover props for more complex special FX. We also have for rent chroma-key/green screen boxes and body suits. There is also a moving scissor lift available also track and free wheeling dollies. Gray screens are also available upon request.